. 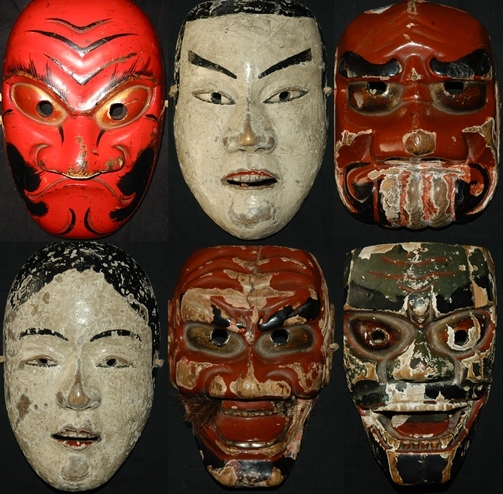 Iwate Folk Art - 岩手県　- Introduction . 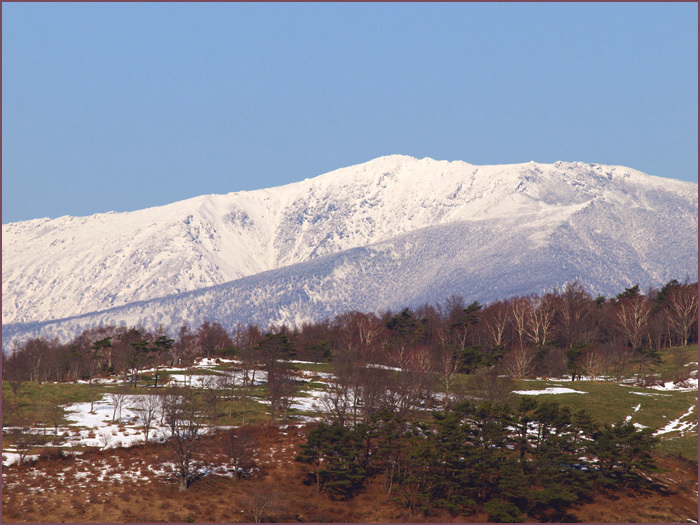 Mount Hayachine (早池峰山 Hayachine-san), at 1,917 m (6,289 ft), is the highest mountain in the Kitakami Range and the second highest in Iwate Prefecture after Mount Iwate. Mt. 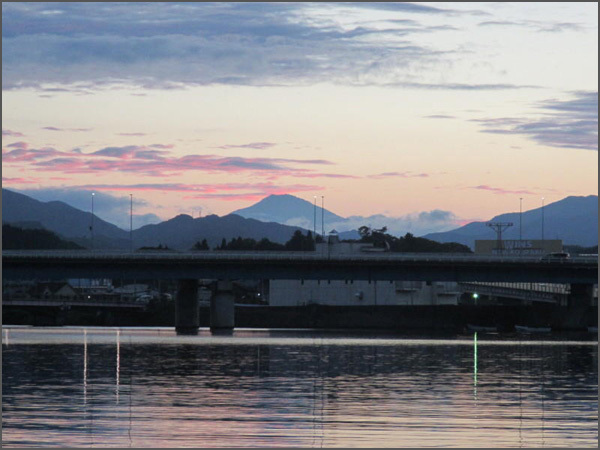 Hayachine is unusual in that it lies farther east than other large mountains on Honshu and the land in this area is the oldest in Japan. As such there are flower species that are unique to this mountain.
. Mt. Hayachine – mountain of the gods . Now in some rural areas it is counted as a form of local art (minzoku geinoo) and preformed by the villagers themselves during the annual shrine festival. Kagura, or “god-entertainment,” is a type of Shinto theatrical dance found throughout Japan. Kagura dancers are not professional performers; rather, they are local residents with other full time jobs, such as public employees, business owners, farmers, and carpenters. They would visit local homes and perform to pray for an abundant harvest, peace, and prosperity. 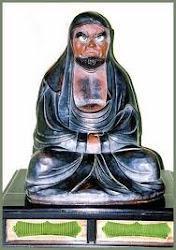 There are many versions of kagura in Iwate; the two of the most famous are Take Kagura and Otsugunai Kagura. Take Kagura, performed in the Take region where Hayachine Shrine is located, and Otsugunai Kagura, performed in the Otsugunai region, are together referred to as “Hayachine Kagura.” With a history of over 500 years, Hayachine Kagura is designated as a national important intangible folk cultural property; in 2009, it was also inscribed on the UNESCO Intangible Cultural Heritage list. The two kagura are very similar, though with minor differences in program names. Both contain about 40 programs, and end with a dance called Gongen Mai ( Buddha Avatar Dance ) . Take Kagura Gongen Mai is performed at the top of Mt. Hayachine on the opening day of the mountain's hiking season. 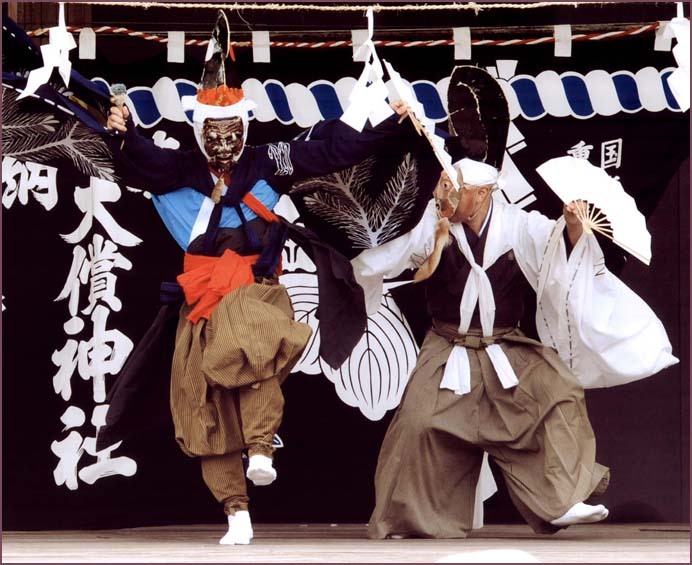 In the Ohasama region of Hanamaki City, Hayachine Kagura is performed 8 times a year at events such as shrine festivals. In addition, Take Kagura, Otsugunai Kagura, and Yagimaki Kagura are performed on the 2nd Sunday of each month at the Hanamaki City Ohasama Exchange Vitalization Center ( admission charged ) . Hayachine Kagura is also often invited to perform in other areas; it has enjoyed several successful overseas performances as well. Shiki Mai is the first six dances of a kagura performance: Tori Mai ( Chicken Dance ) , Okina Mai or Shiro Okina no Mai ( White-Faced Old Man's Dance ) , Sanbaso or Kuro Okina no Mai ( Black-Faced Old Man's Dance ) , Hachiman Mai, Yama no Kami Mai ( Mountain God's Dance ) , and Iwatobiraki no Mai ( Rock Door Opening Dance ) . Shikigai no Mai includes: a dance reenacting Japanese mythology; a dynamic dance for the repose of the deceased and to drive away evil spirits; a dance representing war and vengeance; a narrative dance embodying a woman's emotions and an ascetic who provides salvation for her; a unique kyogen comedy involving ad-lib interactions with the audience; and finally, the Gongen Mai Dance.
. 円万寺の観音堂 Temple Enman-Ji and the Kannon Hall . This temple is also famous for it Hayachine Kagura dance. One house in Tono is said to have the jacked of a tengu. it is like an undershirt with short sleeves, and it is made from a thin, loosely woven fabric. There is an imperial family crest of sixteen-petal chrysanthemums emproidered on the sleeves, suggesting an association with political power and authority. On the body of the jacket 「天狗の衣」, there are gourd-shaped designs with the same chrysanthemum pattern in the center. The jacket is blue. 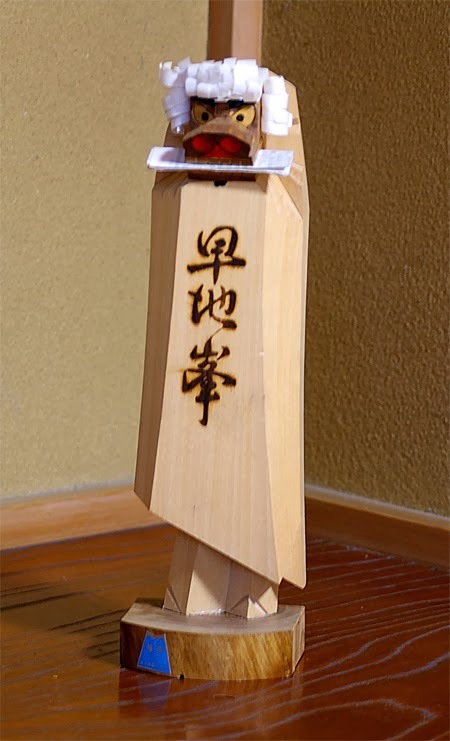 Seiroku Tengu, with whom the head of the household was once friends, wore the jacket. 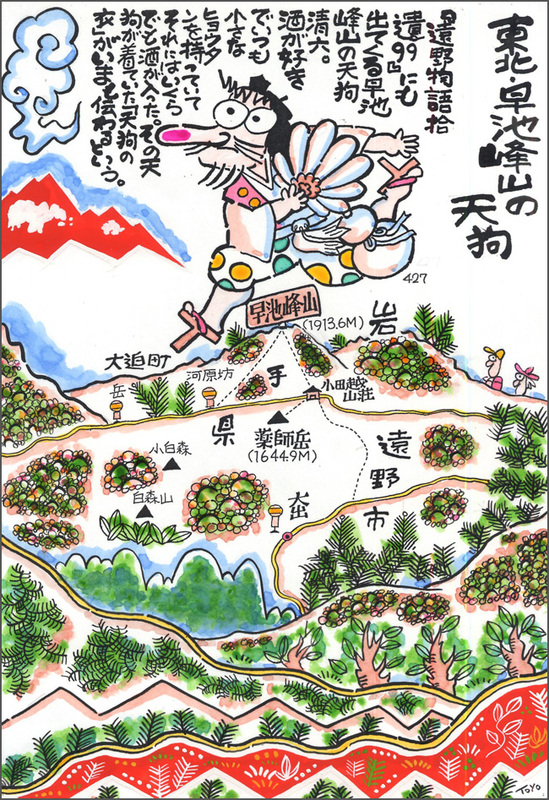 According to what is said, Seiroku Tengu was from the Hanamaki area. He was fond of saying that he was “The King of All Creatures”. Seiroku Tengu would always walk behind people climbing Mt. Hayachine, but surprisingly he would always get to the top of the mountain ahead of them. He would laugh and greet the climbers at the top, saying: "How come you are all so slow?" He liked sake (rice wine) and would usually walk around with a small gourd that was used as a sake flask. No matter how much sake was put into the gourd, it never filled up. It is said he paid for his sake with some small rusty coins that he always carried around. In addition to the tengu’s jacket, this family had also received his wooden walking clogs, which they considered valuable. The youngest grandchild of Seiroku Tengu lives in a village near Hanamaki, and people call his home “Tengu House”. A girl in the house recently became a prostitute and was living in a teahouse in Tono. In the evening, no matter how tightly the doors to the house were locked, she was out walking about the town. She seemed to take great pleasure in going into people’s apple orchards and eating their fruit. It is said she went to Ichinoseki and is living there now.
. Tengupedia - ABC-List . 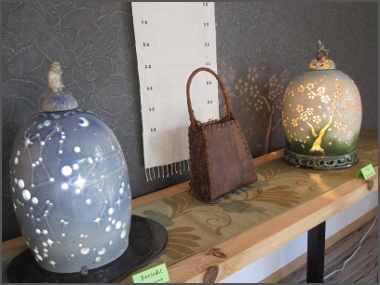 Hayachine Pottery is well-known for its lampshades and finely decorated lanterns. kami no koe 神の声 - the voice of the Japanese Kami deities, lit. voice of "God"